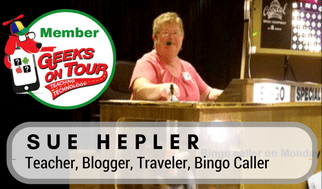 Ask any of the thousands of seasonal guests and residents at Palm Creek Golf and RV Resort in Casa Grande, AZ, who Sue Hepler is and they would know her well from the beautiful blog Palm Creek Update, that she writes detailing daily life and activities at the resort. She created and has maintained that blog for over 10 years. 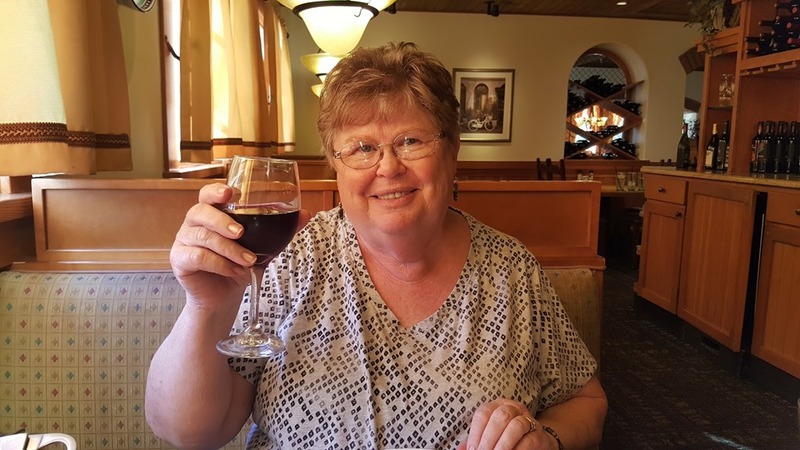 A graduate of the University of Wisconsin-Whitewater, Sue started her career as a Business Education Instructor at Brillion High School in her hometown in Wisconsin. She later taught evening classes at several technical colleges in Ohio. She worked 13 years as Office Manager for a start-up operation that soon turned into a large manufacturing facility. Career, computer, and software skills continued to develop along the way. 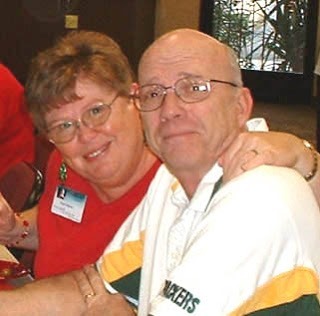 She met her husband, Don, when he and his family moved across the street from her family. Don held a number of interesting positions during his working years—from being a pilot, a published author, a truck driver and a 25 year career in foundry management. 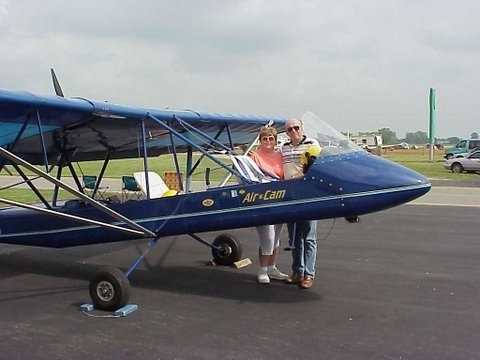 While living in Ohio and before they bought their first RV, Don went to the Oshkosh Air Show where they were showing the AirCam, an experimental aircraft built for National Geographic designed to fly low and slow over the jungle while carrying a photographer. 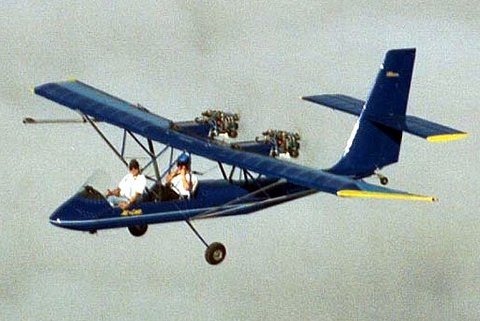 It looked like a canoe with a wing on top with twin engines. 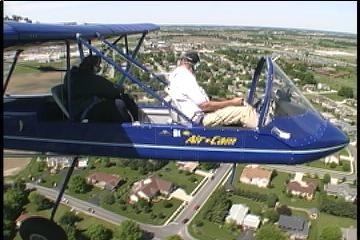 It had to be safe and capable of taking off within 200 feet. When Don saw it, he bought it on the spot. 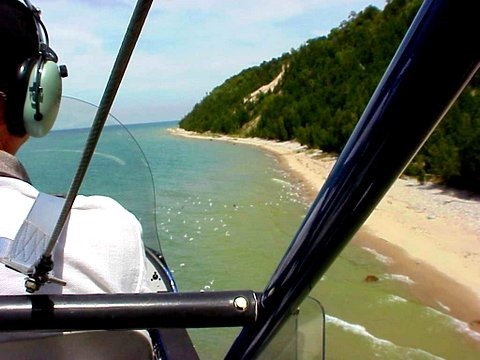 When Sue retired, they flew all the way around Lake Michigan at 100 feet or so and just off-shore. “The only float in the parade,” Sue said, explaining that they had waved at every person on the beach or in the water. 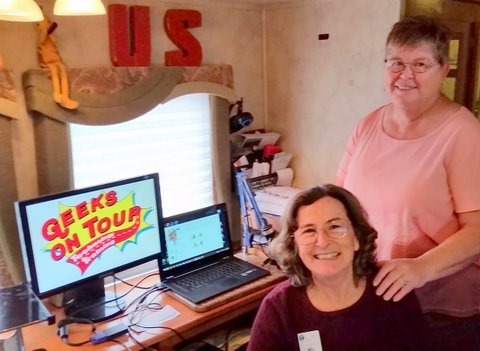 Whenever the Geeks travel out west, Sue tries to book them at the resort for a few days so they can give their training sessions to the residents, as they did just last month. 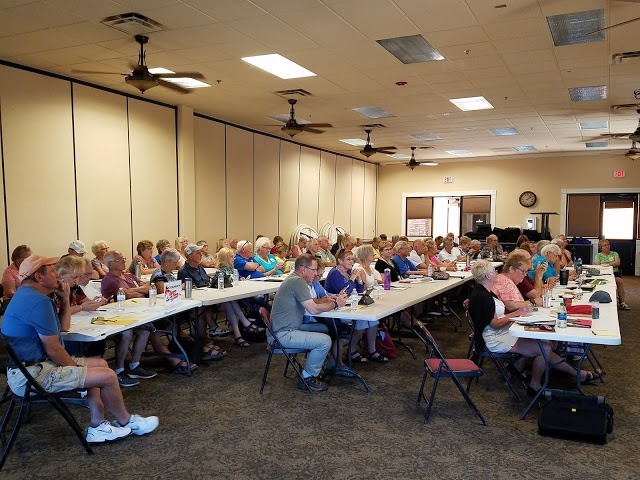 Sue is the Past-President of the Palm Creek Computer Club and teaches computer skills to the residents. And if the residents have a computer problem, they know Don can fix it. 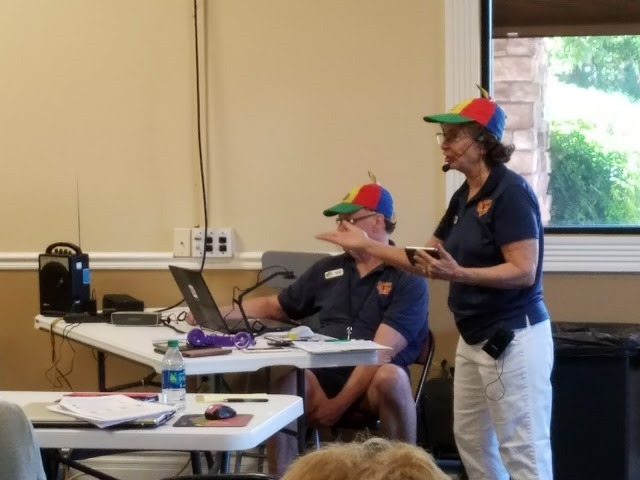 They have become the Chris and Jim of Palm Creek. Sue says that The Geeks were their inspiration.